ELLIOT, GILBERT JOHN MURRAY-KYNYNMOUND, Viscount MELGUND and 4th Earl of MINTO, army officer and governor general; b. 9 July 1845 in London, England, eldest son of William Hugh Murray-Kynynmound Elliot, Viscount Melgund, and Emma Eleanor Elizabeth (Nina) Hislop; m. 28 July 1883 Mary Caroline Grey* in Westminster (London), and they had three daughters and two sons; d. 1 March 1914 near Minto, Scotland. Gilbert Elliot received his early education at home under the exacting tutelage of his mother, an articulate and intelligent woman and author of several family histories. In 1859, as Lord Melgund (the title he had inherited that year upon the death of his grandfather), he enrolled at Eton College, his father’s and grandfather’s alma mater, where he compensated for his lack of academic ability by excelling in athletics. Withdrawn from Eton in 1863 and placed under the supervision of tutors, he entered Trinity College, Cambridge, the following year. There he led an academically undistinguished but happy life, spent largely perfecting his passion for horse racing. Upon his graduation in 1867 his family purchased him a commission in the fashionable Scots Fusilier Guards, whose largely ceremonial duties in no way restricted his interest in rowing, racing, and hunting. In 1869 he withdrew from the Guards after a row with a senior officer and racing rival over a woman. A short, fit man, he pursued a largely undistinguished racing career for the next six years under the name of Mr Rolly. Twice during this period Melgund served as a newspaper correspondent, in 1871 to report on the Paris Commune for the Scotsman (Edinburgh), and in 1874 in Spain to cover the Carlist cause for the Morning Post (London). After an accident terminated his racing career in 1876, he embarked on a number of enterprises abroad, first in 1877 as a correspondent reporting on the Russo-Turkish War, then in 1878–79 as an adventurer during the second Anglo-Afghan War, and finally in 1882 as a captain in the Mounted Infantry, part of the British force sent to Egypt to suppress Arabi Pasha. 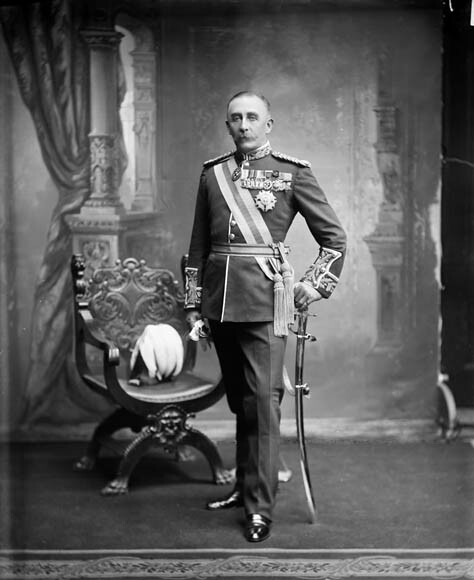 Melgund owed this position to his friendship with the expedition’s commanding officer, Sir Garnet Joseph Wolseley. Some months after his return to England, Melgund married Mary Grey. The daughter of a one-time secretary to Queen Victoria, she was attractive, athletic, and herself a friend of the monarch. Family obligations stemming from his marriage and his father’s declining health obliged Melgund to consider less hazardous employment than military adventures. 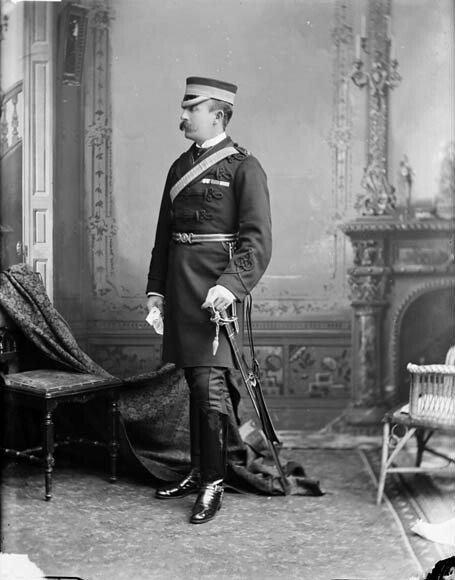 In June 1883 Lord Lansdowne [Petty-Fitzmaurice*], the newly appointed governor general of Canada and a family friend, had offered to bring him to Ottawa as his military secretary. Melgund accepted the offer and he and Lady Melgund arrived in Canada in October. The position demanded few responsibilities under such a competent administrator as Lansdowne and Melgund was able to take on other duties. 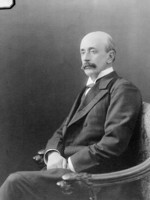 In August 1884 the Governor general asked him to supervise the organization and dispatch of a group of Canadian boatmen who were to help transport the military force under Lord Wolseley that was being sent to rescue the besieged British general Charles George Gordon at Khartoum, Sudan [see Frederick Charles Denison*]. 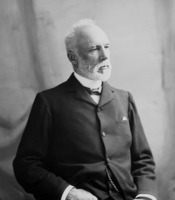 Before the voyageurs left, the Canadian minister of militia and defence, Adolphe-Philippe Caron*, appointed Melgund to a committee to examine and make recommendations on the state of Canada’s coastal defences against the United States. Its report, which included an inventory of Canada’s potential defences, proposed the establishment of a naval militia, a recommendation that would be implemented only in 1910. Melgund’s most important assignment came with the outbreak of the North-West rebellion in March 1885 [see Louis Riel*], when the commanding officer of the Canadian militia, Frederick Dobson Middleton*, named him chief of staff. Just before the final assault in May on Batoche (Sask. 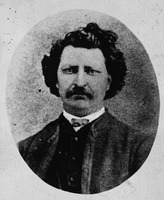 ), the centre of Métis resistance, Middleton, shaken by his failure to take it and by the growing unrest among dissident Canadian militia officers, sent Melgund to Ottawa, reputedly with instructions to sound the government on the possibility of requesting British regular reinforcements, a duty made unnecessary by the Canadian militia’s successful storming of Batoche. Granted vacation leave by Lansdowne, he then went to Britain. 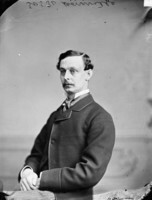 Three months after his return to Ottawa in September, Melgund, whose relations with Lansdowne had deteriorated and who was being pressed by his wife and father, once again went back to Britain. His interest in Canada had been deepened and his ambitions whetted by Sir John A. Macdonald*’s parting prediction that someday the dominion would welcome him back as governor general. 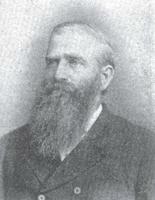 In June 1886 Melgund contested unsuccessfully a parliamentary seat in Northumberland for the Liberal Unionists. 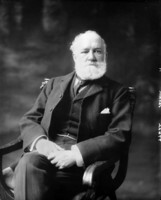 After returning to his Scottish home, Minto House, he faced the challenge of managing the family’s encumbered estates, a duty which became more pressing when he inherited the earldom of Minto in 1891. 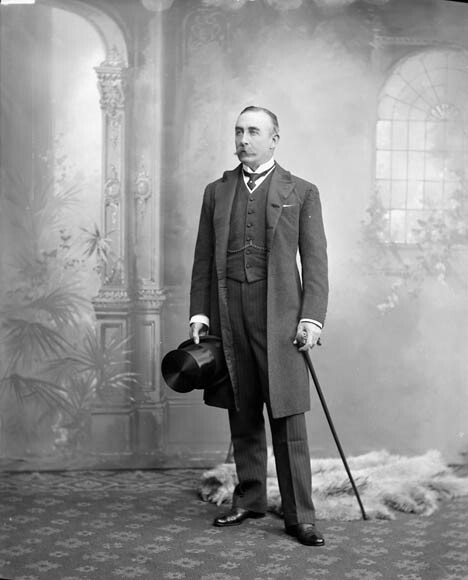 In March 1898, upon learning of the impending retirement of Lord Aberdeen [Hamilton-Gordon*] as governor general of Canada, Minto began a concerted and successful campaign to replace him, using his wife’s influence at court, his War Office connections, and the political support of his brother Arthur Ralph Douglas. The British colonial secretary, Joseph Chamberlain, who probably wanted a malleable candidate with political experience and subtlety, consented to Minto’s selection only after others had refused. Minto was appointed on 25 July and assumed office on 12 November. There was little in Minto’s early career to suggest the making of an imperial statesman. A poor scholar, distrustful of politicians, and impatient with democratic institutions, he seemed to prefer horses and soldiers to cornerstones and constitutions. 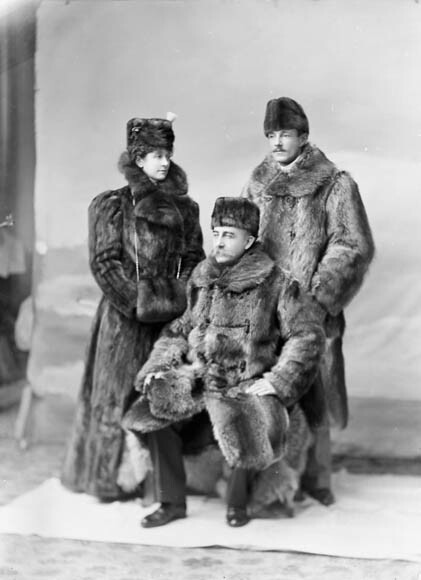 The Mintos, especially Lady Minto, aware of the court’s disapproval of the Aberdeens’ active public life and open approach to viceregal entertainment, came to Canada with a self-imposed mandate to restore order and decorum to social life at Rideau Hall. They enforced punctuality, curtailed entertainment, and purged guest lists. Consequently, Lord Minto’s first years as governor general created the false but indelible impression that he was little more than an imperial busybody, an autocratic proconsul and militarist out of touch with Canadian life. During the crisis over Canada’s dispatch of troops for the South African War in October 1899, Minto’s rigidity, misjudgement, misunderstanding of politicians and the complexities of Canadian politics, and public criticism of the government’s actions persuaded many that he had dragooned Canada into participating. In fact, Minto initially possessed little sympathy for Chamberlain’s warmongering, doubted the necessity of Canada’s involvement, and cautioned Canadian and British war advocates against pushing the government of Sir Wilfrid Laurier too far. Minto’s poor reputation, however, was not without foundation. 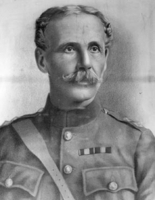 From at least December 1898 he had ill-advisedly supported the militia reforms and contentious conduct of his friend Edward Thomas Henry Hutton*, the general officer commanding the Canadian militia. Minto’s crude and abortive efforts to prevent the Canadian government from dismissing Hutton for insubordination in January 1900, a viceregal intervention which came close to forcing the resignation of Laurier’s government, alarmed Chamberlain and others in the Colonial Office, who refused to back Minto and promptly arranged for Hutton’s recall. Minto could and did learn from his mistakes, however. When, in the spring of 1904, a similar conflict between the minister of militia and defence, Sir Frederick William Borden, and the general officer commanding, Lord Dundonald [Cochrane*], led the Canadian government to demand his recall, Minto behaved correctly and quite differently by offering little resistance. Minto certainly exercised the viceregal right to encourage, advise, and warn his government more freely than his predecessors, especially on those military questions in which he took an inordinate interest. 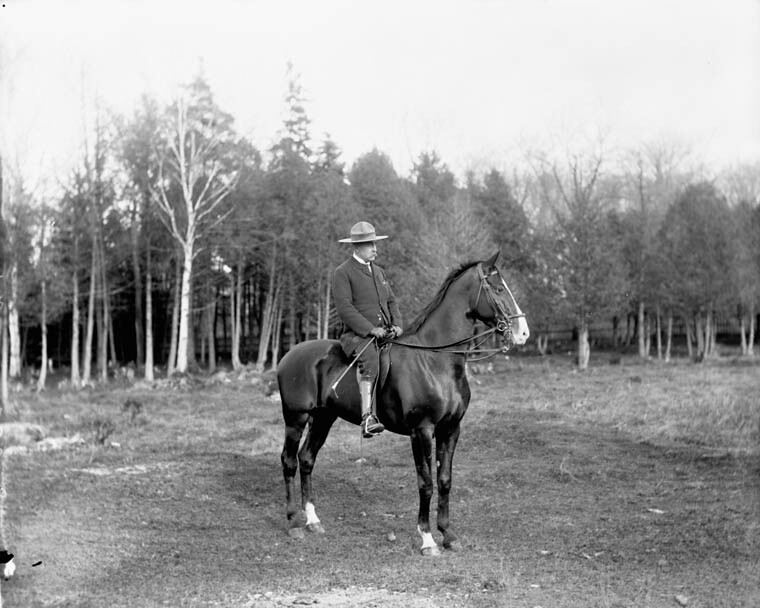 In 1900 he attempted unsuccessfully to dissuade Borden from restoring paragraphs 68 and 69 of the militia orders and regulations, which established seniority in a rank by the date of an officer’s Canadian commission. The suppression of these paragraphs by Hutton had meant automatic seniority for British regular officers serving with the Canadian militia. Following the South African War Minto was no happier with Borden’s proposed amendments to the Militia Act: to vest in the king rather than the governor general the position of commander-in-chief of the militia, to open the command of the militia to a Canadian officer (previously it had been confined to officers in the British army), and to drop the provision whereby the militia would be brought under the king’s regulations in time of war. 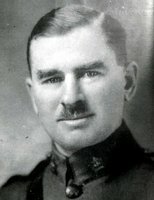 Through countless communications with Borden and the British government, Minto protested, and proposed alternative arrangements, including a curious plan to have two commands on Canadian soil, one in charge of the militia and another in charge of the British garrisons at Halifax and Esquimalt, B.C. This correspondence led to Borden meeting with the Committee of Imperial Defence in December 1903. 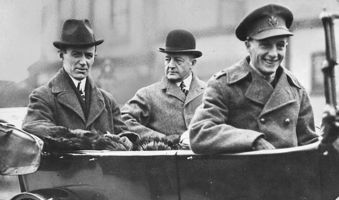 There the British not only conceded Canada’s right to open the militia command to a Canadian officer but also persuaded Borden to take over Halifax and Esquimalt, an arrangement which a distraught Minto vainly tried to reverse. 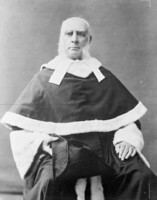 Minto’s keen sense of his viceregal responsibilities, which he likened to those of a king charged with protecting minorities from the arbitrary decrees of their elected leaders, led him into several other unseemly disputes with the Laurier government, for instance over the bestowal of honours, the memorial service for Queen Victoria in Ottawa, and the right to recommend Canadians for commissions in the British army. 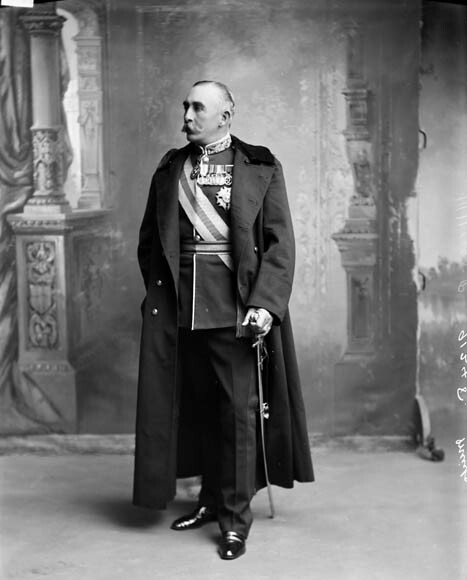 Laurier’s powerful minister of the interior, Clifford Sifton*, never forgave Minto for his public endorsement, during his viceregal tour of the Yukon in 1900, of the grievances of northern miners, a cause which Minto later pursued in an acrimonious correspondence with his government. Consequently, Sifton’s paper, the Manitoba Morning Free Press, ceaselessly attacked the pretensions of Rideau Hall and, later, what its editor, John Wesley Dafoe*, saw as Minto’s radical misconstruction of his office. Sifton was not amused either by the governor general’s support in 1900 of the Mohawk on the Bay of Quinte, Ont., and, during his western tour of 1902, of chiefs in the Qu’Appelle district, among them Payipwat*, in their objections to restrictive and abusive government policy. 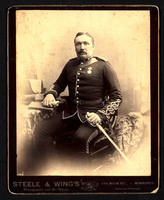 Minto went further and insisted that the leaders of native peoples, for whom he felt a special responsibility, as well as trusted members of the North-West Mounted Police, report to him any native grievance or miscarriage of justice, matters which he never hesitated to take up with his government. Several good works owe their existence and success to Minto’s intervention. In January 1900 he organized the Canadian Patriotic Fund to help care for Canadian veterans of the South African War and their dependants. A year later he formally founded the Canadian Association for the Prevention of Tuberculosis. An ardent advocate of sports – he loved to skate, canoe, and ride – he donated the Minto Cup for senior amateur lacrosse in 1901. 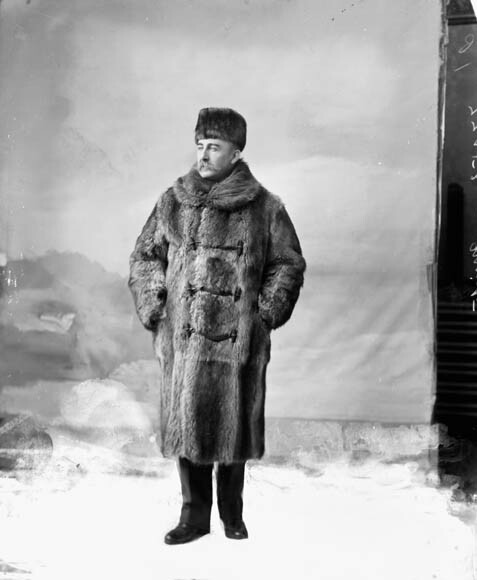 He lent his support as well to Guglielmo Marconi’s experiments with wireless telegraphy in Canada and Captain Joseph-Elzéar Bernier*’s voyages to assert Canadian sovereignty in the Arctic. Minto’s interest in Canadian history led him to support the government’s purchase of the Plains of Abraham at Quebec and, in 1903, to refuse his signature to a Privy Council order authorizing the construction of a road through a section of the walls of the Quebec Citadel. That same year his timely protest against the destruction of public records extracted from Laurier a promise to construct an archives building and appoint a dominion archivist. In his viceregal duties Minto was ably supported by his wife. An intelligent, well-dressed, and gracious woman who was fluent in French, Lady Minto was adept at social diplomacy. 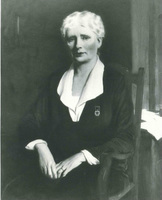 During her Ottawa years she served as honorary president of the Victorian Order of Nurses, the National Council of Women of Canada, and, for a time, the Imperial Order Daughters of the Empire. (In 1902 she withdrew her support of this body owing to a dispute over its project to care for the war graves of Canadian soldiers buried in South Africa, a project she planned to organize under her own direction.) In 1900 she had raised £20,000 to organize cottage hospitals in western Canadian towns. A sporting figure much like her husband, she patronized figure-skating, in which she excelled. Many Canadians saw Lord Minto as stiff and a stickler for form and protocol. 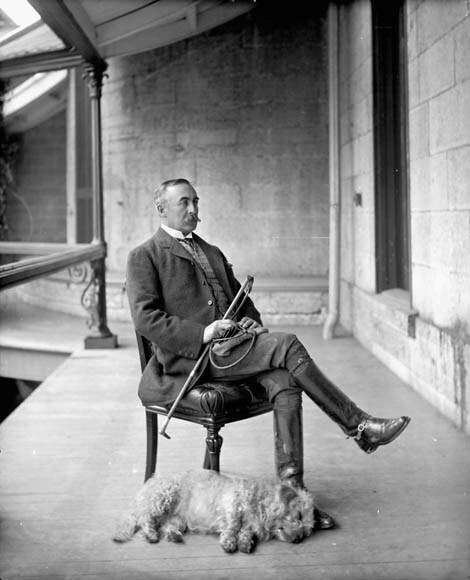 In fact, he preferred to leave the confines of Rideau Hall to talk informally and in less contrived circumstances to people who had no claim to official recognition, which he did on several tours, hunting and fishing trips, and historical expeditions. During the Ottawa–Hull fire of 26 April 1900 he joined the fire-fighters and the next day helped dig bodies from the rubble. While in Canada Minto developed a deep affection for the country, especially the west, and its people. When he left in November 1904 to return to Britain two months after his term had ended, he had not abandoned his dream of building a house in the Rockies in sight of the Bow River, and making Canada his home. Although Minto’s initial encounter with Canadians and their government had been stilted and uninformed, and betrayed his inexperience and lack of political skills, during his Canadian career he learned the limits of his authority and how to exercise influence. The rigidity and suspicion which characterized his early relationship with Laurier soon gave way to mutual respect and amity. 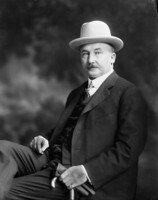 Similarly, Minto, who attempted to have Frederick Borden dismissed from the Department of Militia and Defence in 1900, came to regard him as “quite the best Minister of Militia to date.” The governor general’s accrued credibility with Laurier and his government enabled Minto to play a significant role in the settlement of the Alaska boundary dispute. He arranged a meeting in London in 1902 between Laurier, the American ambassador, and the British foreign minister to devise a mechanism by which the issue could be resolved. As well, he pressed Laurier in January 1903 to appoint a reputable and strong Canadian jurist to the proposed arbitration tribunal, to shame the Americans into acceptable behaviour. Despite his disappointment with the resulting settlement, Minto continued to work toward continental concord; in 1904 he urged Laurier to come to an agreement with the United States on the dispute over pelagic sealing in the North Pacific. 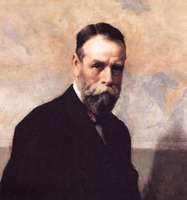 Moreover, his firm but correct management of the Dundonald dispute in 1904 contrasted sharply with his partisan, ill-conceived support for Hutton in 1900. By the end of his term Minto had become an experienced, capable, and judicious governor, ready for more strenuous imperial service. 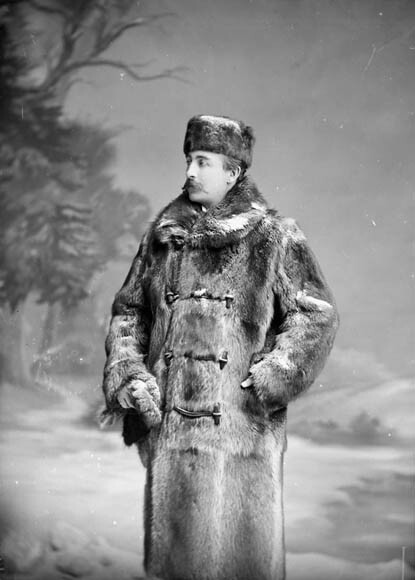 In 1905 Minto’s fantasies about resettling in Canada were cut short by his appointment to the viceroyalty of India. There he attempted to control the terrorist movement and, with John Morley, secretary of state for India, implemented far-reaching political reforms, including the admission of Indians to the viceroy’s council and the provincial councils, the partial election of councils, and the recognition of the Indian Congress and later of the Muslim League. 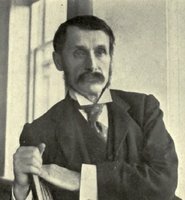 Upon the completion of his term in 1910, Minto returned to his Scottish estates, where he died on 1 March 1914. Minto’s correspondence and papers are preserved in the National Library of Scotland (Edinburgh), Dept. of Manuscripts, mss 12446–587. Copies of material relating to Canada were acquired by the NA, and are found there at MG 27, II, B1. 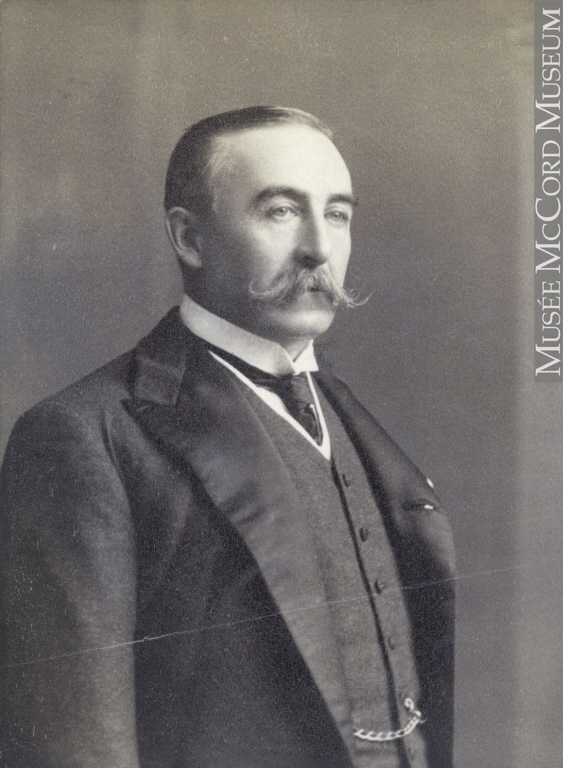 The main published collection is Lord Minto’s Canadian papers: a selection of the public and private papers of the fourth Earl of Minto, 1898–1904, ed. and intro. Paul Stevens and J. T. Saywell (2v., Toronto, 1981–83). In addition, his diary of the North-West rebellion has been printed as “Lord Melgund and the North-West campaign of 1885,” ed. Carman Miller, Sask. 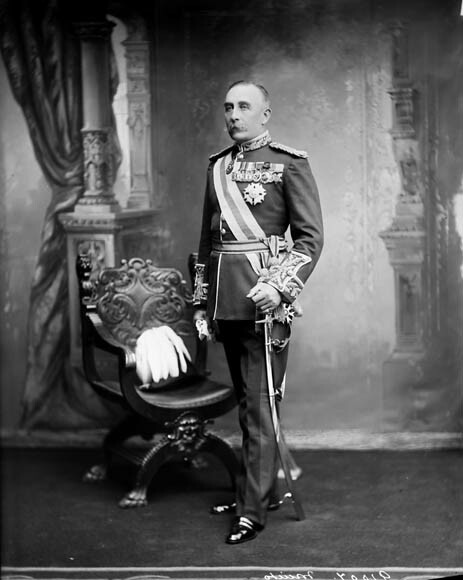 Hist., 22 (1969): 81–108, and a long letter written prior to his departure from Canada in 1904 appears as “Lord Minto on his governor generalship,” ed. F. H. Underhill, CHR, 40 (1959): 121–31. A collection of his Indian addresses was published as Speeches by the Earl of Minto, viceroy and governor of India (Calcutta, 1911). British Library (London), Add. mss 50078–114 (Hutton papers). NA, MG 26, G; H; MG 27, I, D3; MG 30, D29; RG 7. PANS, MG 2, 63–223. PRO, CO 42; WO 32. Univ. of Birmingham Library, Special Coll. (Birmingham, Eng. ), Joseph Chamberlain papers. John Buchan, Lord Minto: a memoir (London, 1924). M. N. Das, India under Morley and Minto: politics behind revolution, repression and reform (London, 1964). Debrett’s peerage, baronetage, knightage, and companionage . . . (London, 1907). DNB. 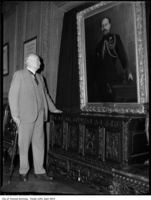 H. P. Gundy, “Sir Wilfrid Laurier and Lord Minto,” CHA, Report, 1952: 28–38. Carman Miller, The Canadian career of the fourth Earl of Minto: the education of a viceroy (Waterloo, Ont., 1980). Myself when young; by the famous women of to-day, ed. [Margot Asquith], Countess of Oxford and Asquith (London, 1938). Records of the Nile voyageurs, 1884–1885; the Canadian voyageur contingent in the Gordon relief expedition, ed. and intro. C. P. Stacey (Toronto, 1959). J. D. Smith, Servant of India: a study of imperial rule from 1905 to 1910 as told through the correspondence and diaries of Sir James Dunlop Smith, ed. Martin Gilbert (London, 1966). S. R. Wasti, Lord Minto and the Indian nationalist movement, 1905 to 1910 (Oxford, 1964). Carman Miller, “ELLIOT, GILBERT JOHN MURRAY-KYNYNMOUND, Viscount MELGUND and 4th Earl of MINTO,” in Dictionary of Canadian Biography, vol. 14, University of Toronto/Université Laval, 2003–, accessed April 24, 2019, http://www.biographi.ca/en/bio/elliot_gilbert_john_murray_kynynmound_14E.html.